Hayden Davis of Washington and his family have been involved with Special Olympics Illinois Heartland/Area 6 since 2002. Hayden, a 23-year-old athlete with the Tazewood Warriors Special Olympics team, has participated in five different sports throughout his time with Special Olympics. 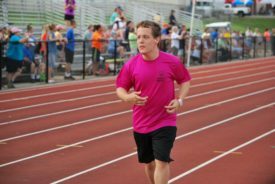 Hayden participated in the 4×400-meter relay race at the 2016 Summer Games at Illinois State University. Since he began in 2002, he has also participated in the 100-meter run, softball throw, snowshoe and bowling. During the 2015 Winter Games in Galena, Hayden earned a gold medal in the 400-meter snowshoe. 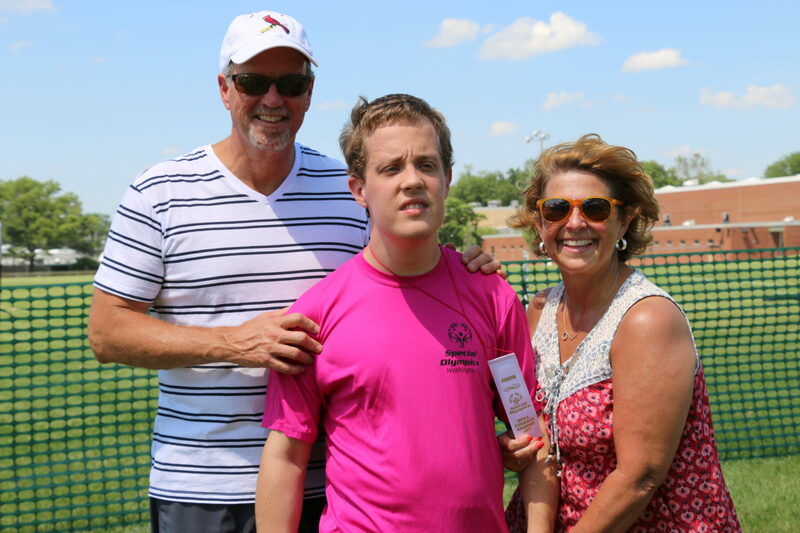 Because of Hayden’s participation year-round, Special Olympics has been a major part of the Davis family’s lives. Sharla, Hayden’s mother, is a key member of the Heartland/Area 6 Family Action Network. “When I learned about the Family Network, I was excited to get involved. Being part of the Family Network helps you be part of making Special Olympics a better organization,” said Sharla. Sharla and her husband, Tim, are always looking for ways to help and do everything that they can to support Special Olympics. They attend all of Hayden’s events and take on a volunteer role whenever they can. Special Olympics has been a growing experience for both Hayden and his family. “At first, it was challenging for Hayden to wait for his turn to participate in an event and while he waited for his award. As years have passed, his patience has improved immensely. He now understands the process and is willing to wait,” said Sharla. The Davises have noticed a growing independence with their son. When Hayden first began Special Olympics, he did not want Sharla to leave while he was at practice. Now he does not want her to stay at practice at all. 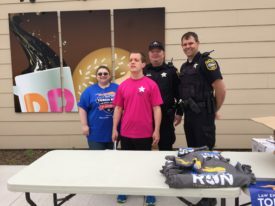 The Davis family plans to continue their participation and support with Special Olympics Illinois and they hope that other families choose to do the same.